Transforming featureless space into something compelling and extraordinary. Creating the elusive wow factor. Be the topic of conversation with bespoke features from Aqua Designs. Transforming a property into a beautiful living or dining space is what we do best, and with our popular, design led furnishing packages we’ve perfected the process to a fine art. Whether you want a full refurbishment, a cosmetic make over or an interesting feature to make you stand out, we can help. 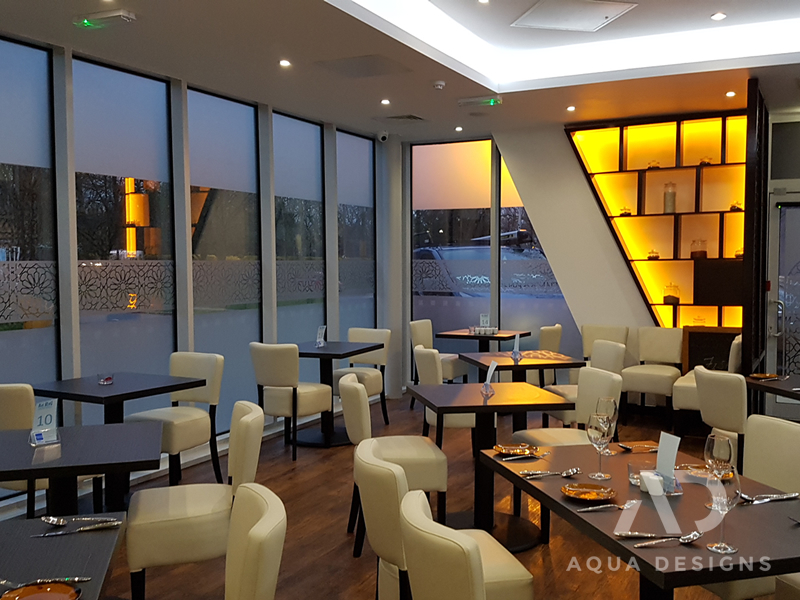 We have the understanding, knowledge and expertise to create the perfect soothing and relaxing atmosphere in any professional environment. 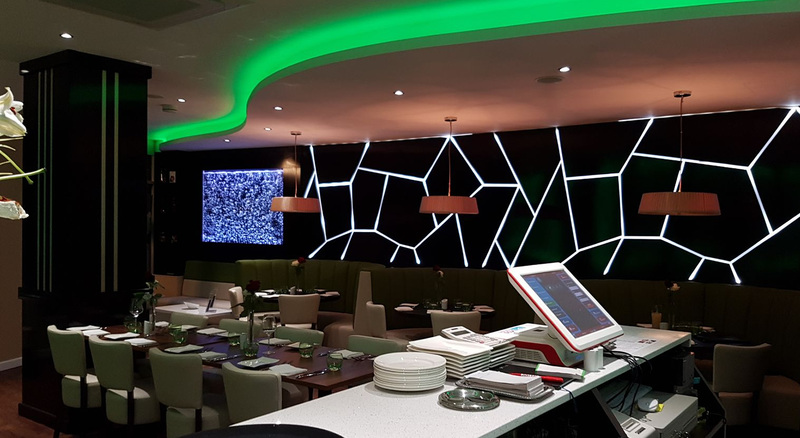 Extremely versatile in design; feature walls can be made to suit a range of different spaces including wrap around corners and unsightly pillars. 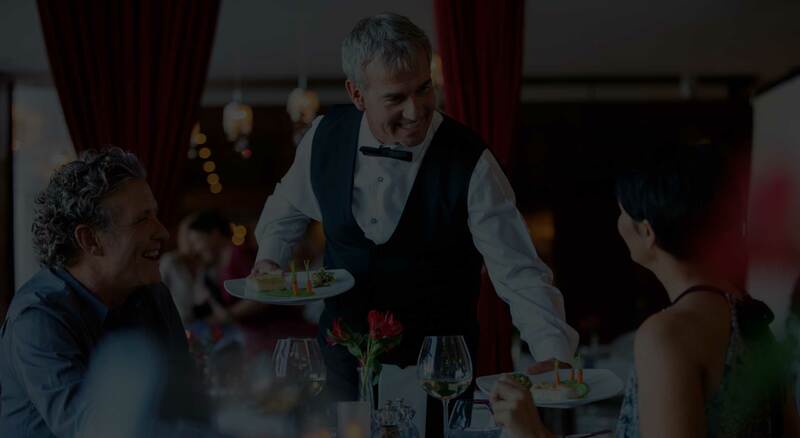 Give your restaurant that elusive wow factor. 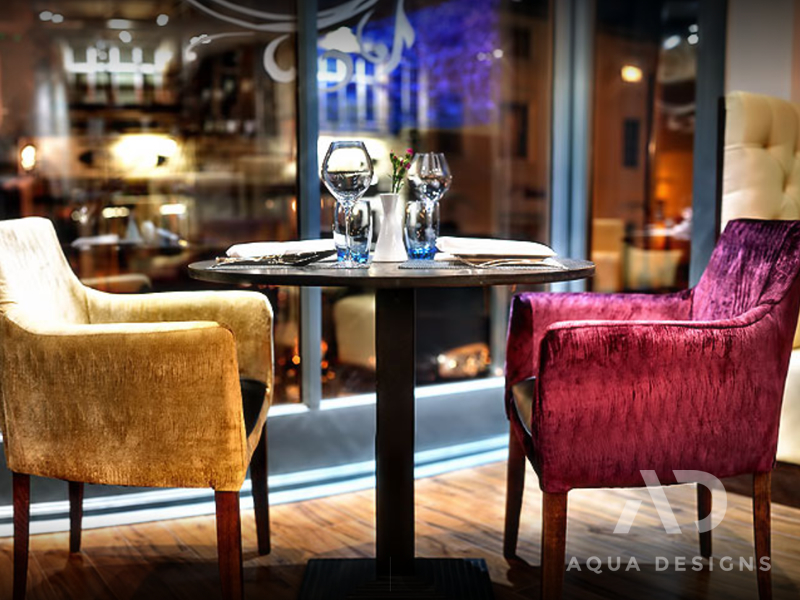 Whether its a small waiting room or a restaurant that seats 300 people, we’ve got your back when it comes to bespoke furniture’s. With a wide range of custom designs and materials to choose from you’re bound to find one that sits with you. Our experience over the years has taught us what our clients like. 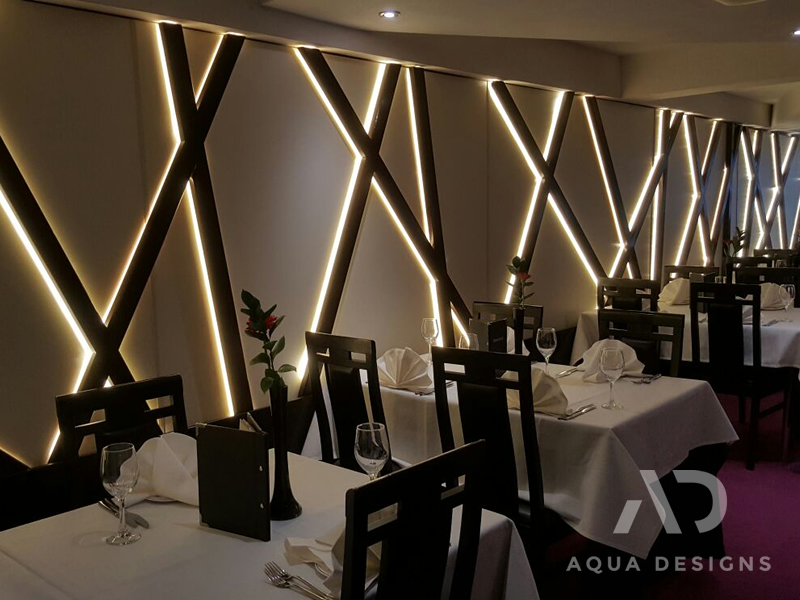 Lighting is what makes your restaurant stand out. 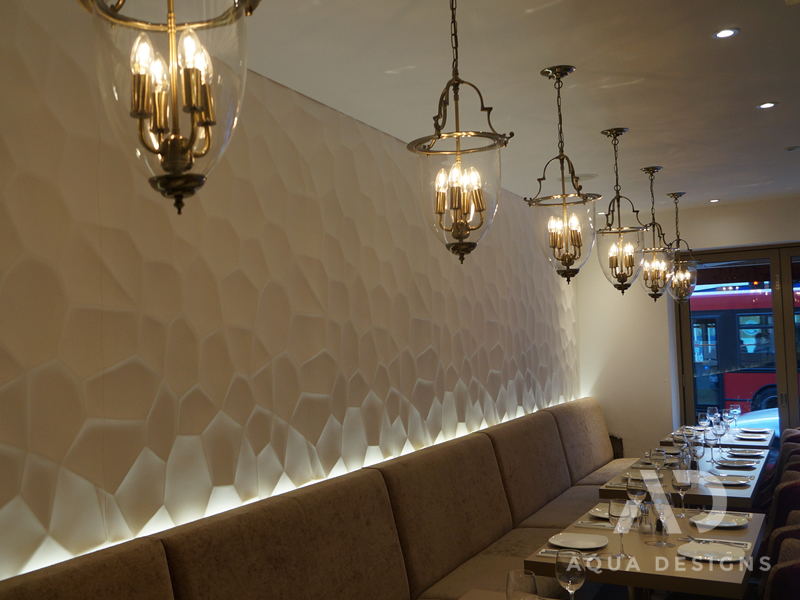 With our extensive lighting experience let us create that look for you. 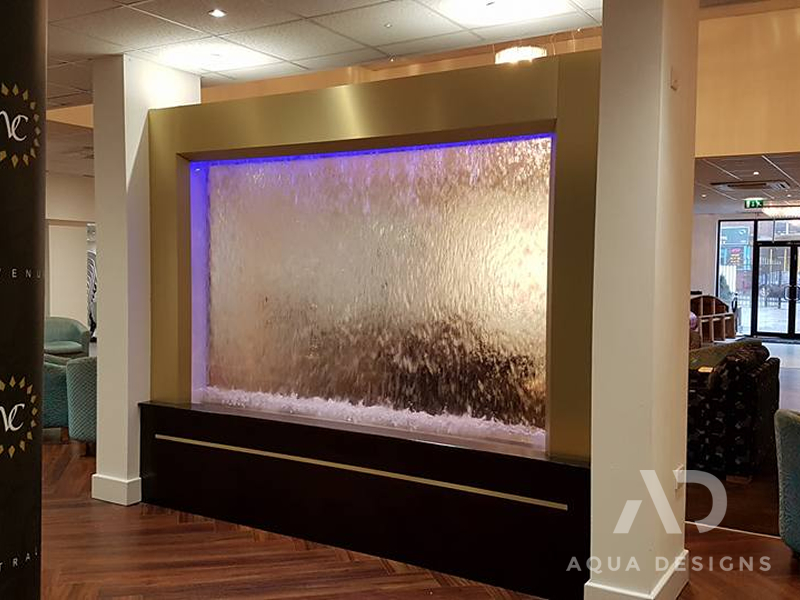 Create a focal point that captures peoples attention and holds their interest and set the scene with Aqua Designs bespoke water features. Create a relaxing and soothing atmosphere that’s completely tailored to your needs. 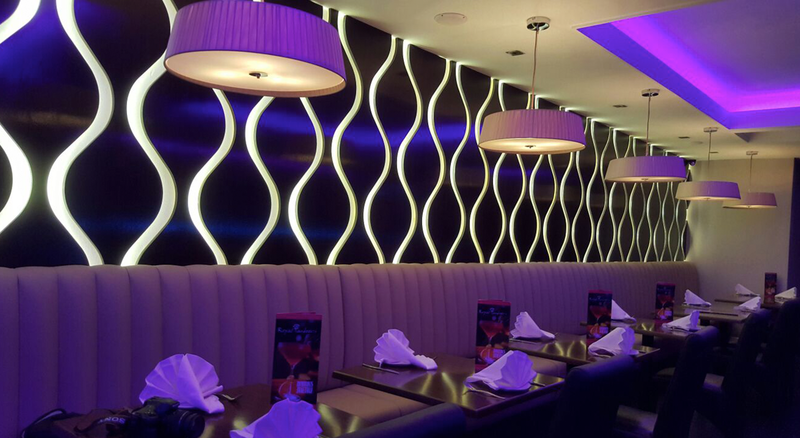 Give your restaurant the wow factor today by letting us create mood settings for you. 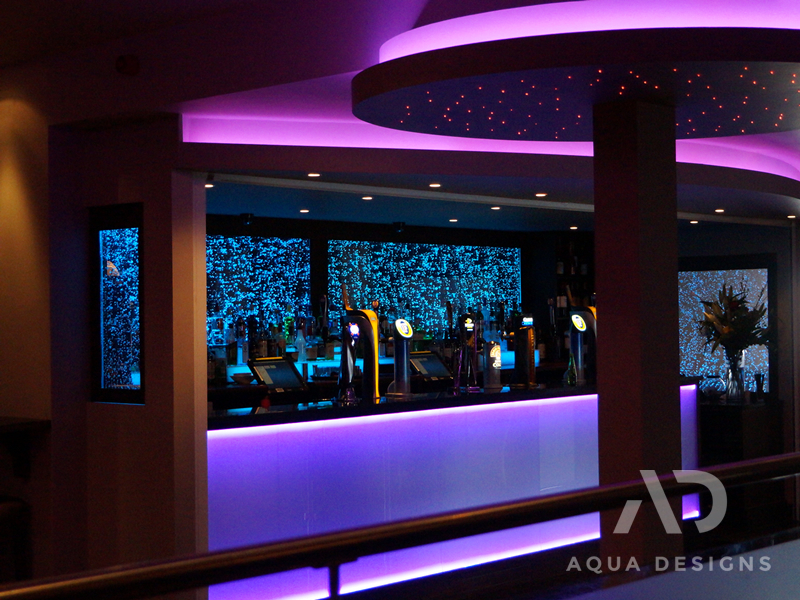 Whether you’re looking to modernise a home, office, waiting area, or other space, Aqua Designs can accommodate your needs. 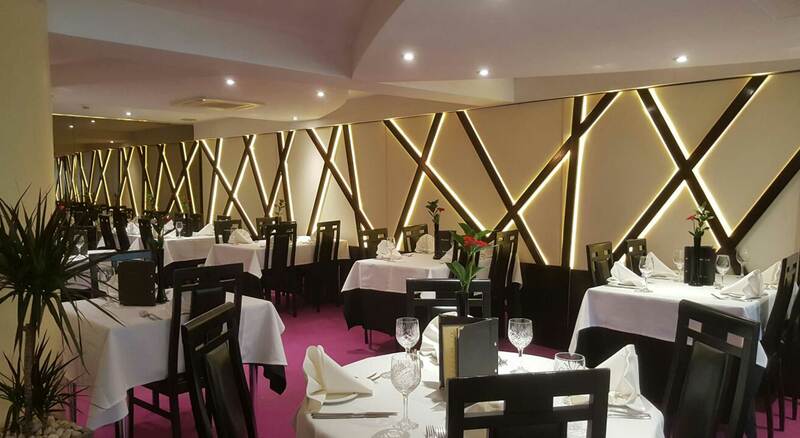 With many standard designs to choose from you’re sure to find exactly the right finish that suits your requirements and give your restaurant that exclusive look. "A truly fantastic and enjoyable experience. The transformation is just something else. Very happy!" Transforming a property into a beautiful living space is what we do best, and with our popular, design led furnishing packages we’ve perfected the process to a fine art.